Finding that perfect color is easier than you think. Use our color picker to discover beautiful colors and harmonies with Hex color codes and RGB values. Use the color picker by clicking and dragging your cursor inside the picker area to highlight a color on the right. Input Hex, RGB, HSL or CMYK values to search for a particular color in the fields below the color swatch; click the swatch to add it to your palette. 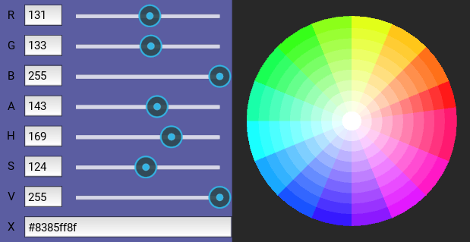 After selecting a color, experiment with different harmonies by using the dropdown below the color picker.